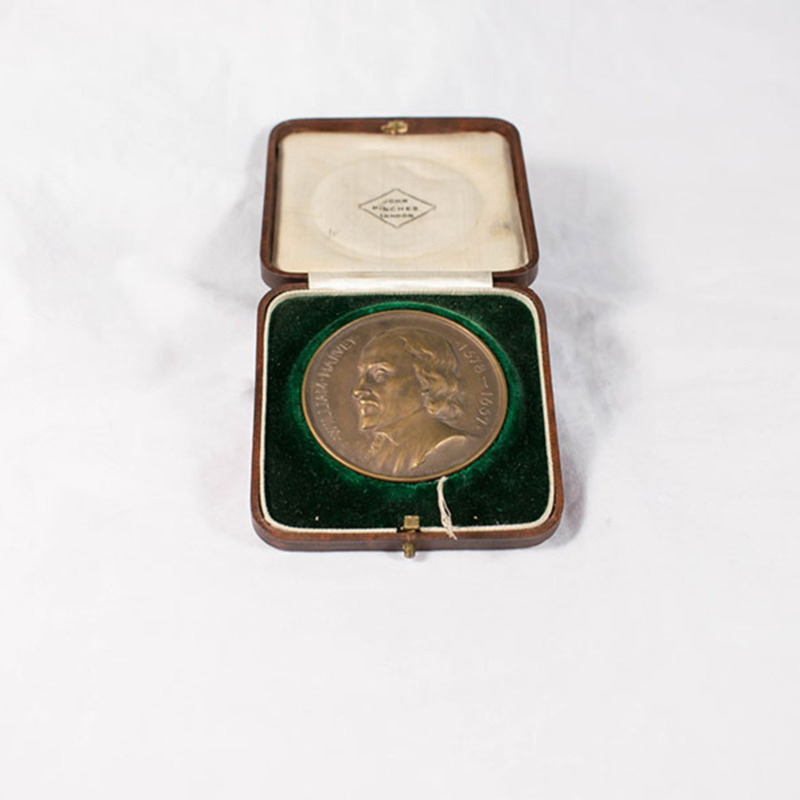 St. Bartholomew's Hospital medal, metal, in leather-covered box, c 1923. On one side is the face of Dr William Harvey, the first physician to accurately describe and explain the workings of the cardiovascular system. On the other side is Rahere, who founded the St. Bartholomew Hospital in 1123. Leather, metal, silk, and velvet. 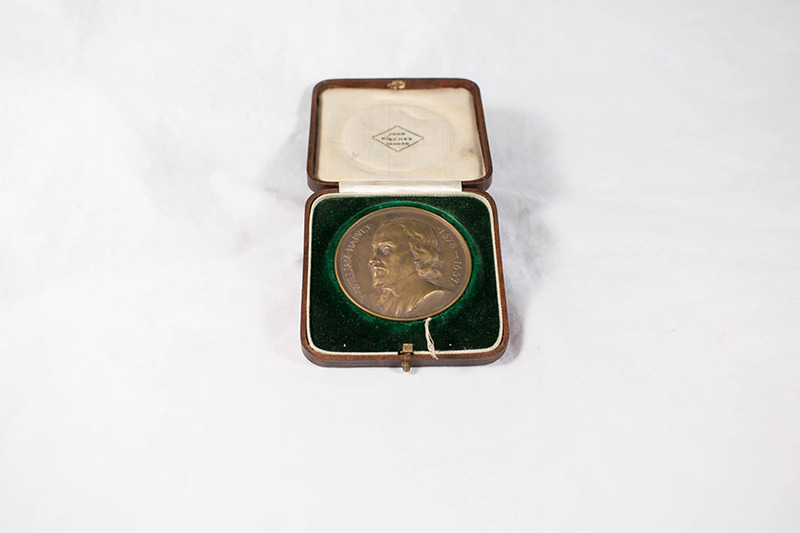 Unknown, “St. 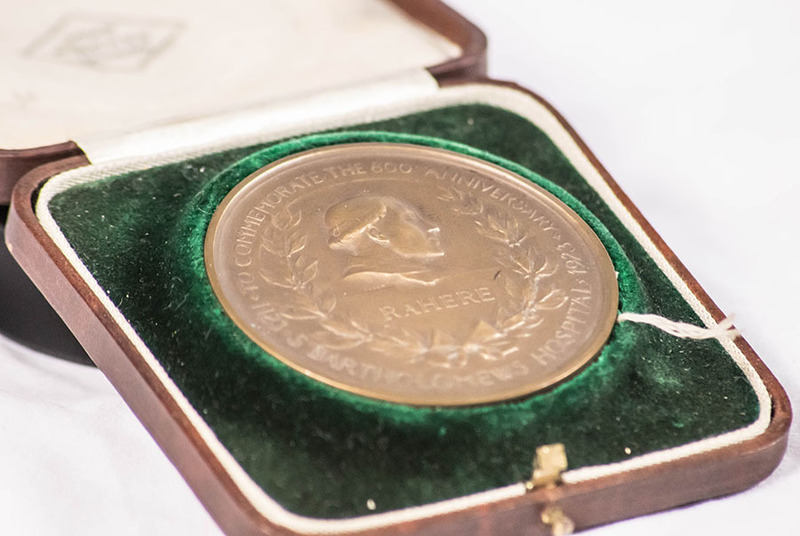 Bartholomew's Hospital Medal,” Heritage, accessed April 24, 2019, https://heritage.rcpsg.ac.uk/items/show/102. 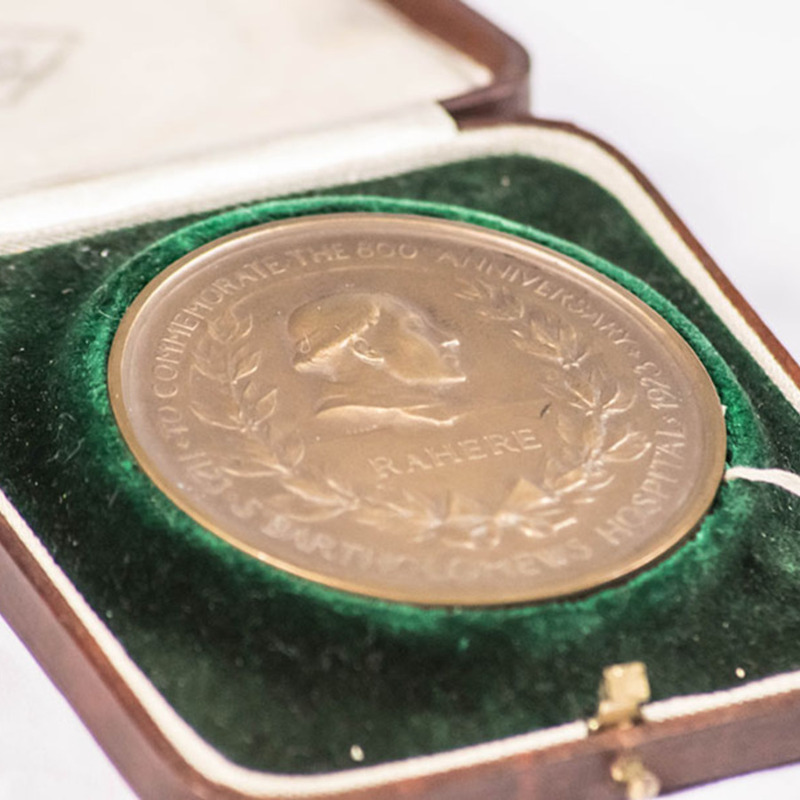 Description: St. Bartholomew's Hospital medal, metal, in leather-covered box, c 1923. On one side is the face of Dr William Harvey, the first physician to accurately describe and explain the workings of the cardiovascular system. On the other side is Rahere, who founded the St. Bartholomew Hospital in 1123.